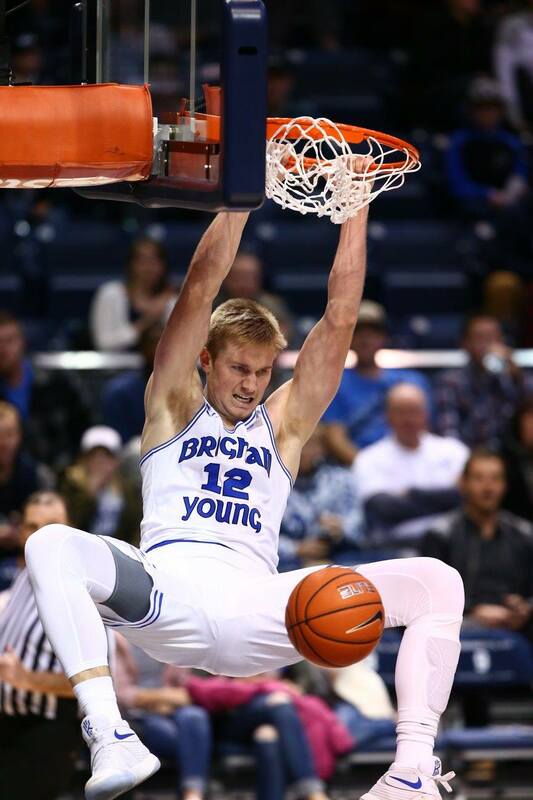 PROVO – Overwhelming post play from Eric Mika and Yoeli Childs helped BYU past Idaho State 84-58 Tuesday night at the Marriott Center. Mika led the Cougars with 19 points and 12 rebounds to collect his fifth double-double of the season. Childs also had a double-double with 13 points and 14 boards. The two players also had three blocks apiece. TJ Haws was effective on the perimeter, collecting 17 points in addition to a team-leading six assists and three steals. BYU (8-4) outrebounded Idaho State (3-10) 46-29 and had a 34-14 points-in-the-paint advantage for the game. Mika scored eight of the Cougars’ first 10 points en route to a 10-3 lead with 15:25 left in the first half. A pair of Childs free throws extended BYU’s lead to double digits at 19-8 with 10:40 remaining before halftime. A Mika jumper kept the Cougars ahead 24-8 before the Bengals followed with an 8-3 run, which included a pair of 3-pointers, to stay within 11 points, trailing 27-16. L.J. Rose countered with three treys, extending the advantage to 16 at 35-19 with just over four minutes left in the half. Idaho State closed out the first 20 minutes of play on an 8-2 run, including a dunk as time expired, to cut the BYU advantage to eight at 39-31. A Bengal 3-pointer edged them within five after the break, 41-36, but that was as close as they got as a Nick Emery jumper ignited a 10-1 run to put the Cougars back up 51-37. The teams stayed competitive, however, as a behind-the-back pass from Haws set up a Braiden Shaw reverse layup, extending the lead to 64-49 with under 10 minutes left in the game. 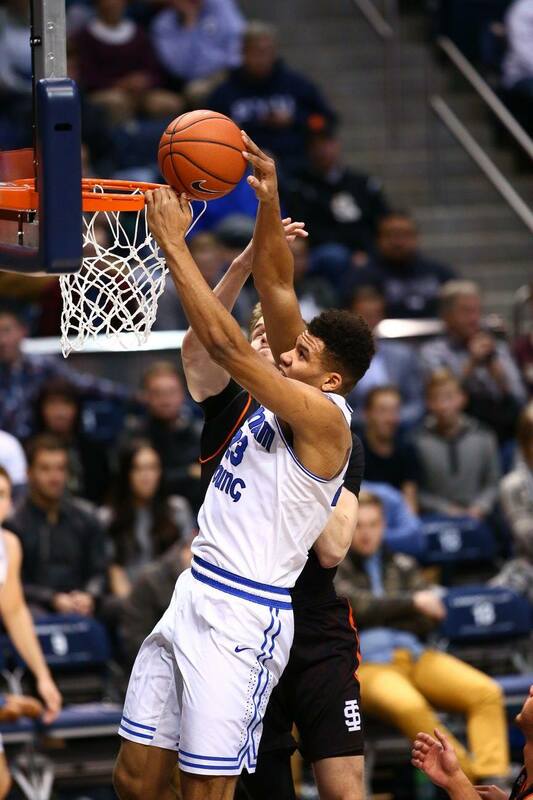 A Childs dunk gave him his double-double with under five minutes to play, increasing the BYU lead to 25 at 79-54. He had another jam just second later. A Colby Leifson 3-pointer and Childs jumper ended the Cougar scoring as BYU picked up the 84-58 win. The Cougars return to the Marriott Center to face CSU Bakersfield on Thursday, Dec. 22, at 7 p.m. MST. The game will be broadcast live on BYUtv and simulcast on BYU Radio – Sirius XM 143. It will also be broadcast on the Cougar IMG Sports Network and KSL 1160 AM/102.7 FM.